There's a lot of variety when it comes to notches these days — you've got the wide (iPhone) notch, the tiny (Essential/Sharp) notch, the huge (Pixel 3) notch, the waterdrop notch, and so on — but the common denominator between all of them is that they are centered. 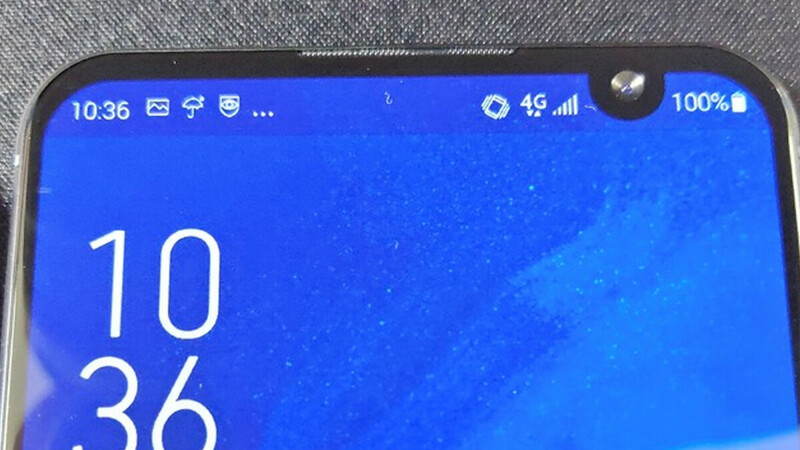 Well, seems like Asus has gotten bored of this trend, as the upcoming Zenfone 6 has a small notch shoved away in the upper right corner of its screen. The first thing that catches your eye will likely be the offset notch, followed by the rather sizable bottom bezel. At this point, we can't be sure if Asus's design is any better (or any worse) than current devices with centered notches, but the only difference we can think of that this design choice could possibly make, is a potentially less obtrusive notch that's not smack-dab in the middle. But what do you think? Yay or nay? I don't know, correct me if I'm stupid, but at least this makes more sense as it gives more space for notification icons at the bar on top? It looks bizzare as it's something new, but it surely can grow on, just like notches seemingly grew on people in general, sort of. I don't know dude.. But it's better if they could move it to top right corner. All notches are ugly but OnePlus 6t implementation with the tear drop is the least ugly. I just got conjunctivitis looking at this. 5 companies have already launched phones with a bezelless notchless design. I think 2019 will be the year of Sliders and Pop up cameras. Asus will be stupid if they launch this. Anyone will prefer a notchless cleaner design over a notch anyday. I actually like this more than the center notch. I'm not going to buy an Asus phone, as I don't want to deal with their UI, but moving the notch to the corner makes way more sense. I want a phone that's congruent. And as much as I hate notches, the OnePlus 6T nailed it with congruency. Design department is struggling with alcohol. It looks weird yet it works somehow.